Large, deep blue-pink flowers with a red bar in the flower petal appear in mid-summer on this late-flowering clematis. 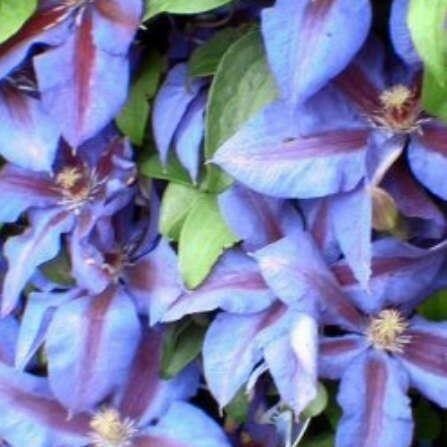 Like all clematis it is ideal for covering a trellis or climbing through a neighbouring tree. This clematis likes full sun but with its roots in the shade.